A cancelled appointment can be a let-down, but nothing is worse than preparing for a customer who does not show up with any notice! 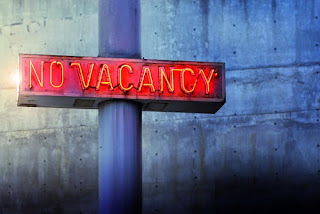 With holidays and peak seasons around every corner, it is a waste of time and a missed revenue opportunity to prepare and hold a room for a customer that forgets they have an appointment. The goal with peak seasons is to try to get every boarding room filled and it is stressful, time consuming and sometimes impossible to fill a room at the last minute. While no-shows are unfortunately an inevitable part of the running a boarding facility, there are preventative measures you can take to lessen the number of them so that you do not lose revenue because of customer no-shows! The first step is to have a concrete visual of who is coming when and which slots have yet to be filled. Having a polished look to your appointment book will make it easier for you to keep in mind when slots are free and when your facility is fully booked. PawLoyalty kennel software will help to keep your pet records intact in the Pet Health Record and you can use your Facility Organization chart to see which rooms are filled and which are still open. Having this appointment overview available online means that you can keep an eye on your appointments wherever you go. Make sure your cloud based kennel software sends your customers automated emails reminding them of their upcoming appointments. Customers like the reminders and it keeps their commitment to your business top of mind. Sending automated emails will lessen the amount of no-shows. With PawLoyatly kennel software, you can choose the specific number of days before their appointment you want customers to receive their reminder email. We encourage you to also follow up these emails with a call reminder to your customers 24-48 hours in advance of their appointments. It is a great opportunity to upsell additional services and also will have a big impact on decreasing no-shows. When it comes down to customers who are unreliable and are known to cancel appointments at the last minute, it may be best to request pre-pay. It is beneficial for you to create a business policy around late cancellations. Ask yourself “What is considered a late cancellation?” and then create tiered levels of accountability based on the number of offensives. Perhaps for the first violation the customer receives a warning, the second time they are required to pre-pay and are held to a $20 cancellation fee, and after the third offense they are held fully accountable for the cost if they cancel within your “cancellation period”. 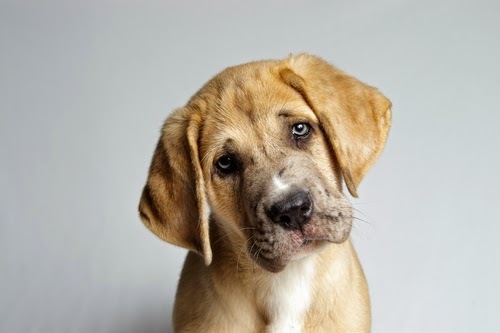 Another idea might be to charge a fee of $10 per dog multiplied by the number of occurrences in the last year, with a maximum of the full service price or a third approach may be to have a flat $25 non-refundable deposit for all appointment. Once you determine which policy will work for you, formally put the policies in place. Have them written out and stick to them! It is valuable if you can explain your policies to customers upfront with an explanation that by not showing up or cancelling late, it prevents you from booking that room for another customer; in turn that room ends up sitting empty and as a business you can not afford to have that happen. If you are upfront about the policy, customers will respect it. And if they don’t, you may have to ask yourself if that is the type of customer you want. With PawLoyalty kennel software, you can give customers the option to pre-pay online with a credit card. Keep track of your no-shows and your last minute cancellations. Also, always follow up with your no-show customers to get their next appointment scheduled as well as to record the excuses clients provide about why they did not show up. This will help you identify problematic customers and avoid the nervousness of communicating when you don’t have all the facts. In PawLoyalty kennel software, you can add notes to a customer profile that are only seen by your staff. Here’s another boarding tip! With your PawLoyalty kennel management software, you can also implement a minimum boarding stay requirement so that customers have to book a minimum amount of boarding days during a specific time period, which saves you time trying to fill slots and having to change the bedding in between! What’s your business’ best practice for preventing no-shows? Partner up with local trainers and ask them to come in and teach your customers simple cues at home to get their dogs to behave. When customers come in for workshops, they are likely to make a retail purchase or schedule an appointment while they are there. Partner up with a local pet photographer. Rent out your facility to them for professional photoshoots for interested customers or you can ask them to give customers tips on how to take great pet photos. Customers love the idea of Do-It-Yourself projects for their pets. Look up tutorial videos, scour Pinterest, and master a few projects that any customer will be able to do and teach a workshop yourself! 2. Make it easy to add on an extra service. Offering individual extra services or bundling them into activity packages that customers can add-on to their main services is a great way to increase revenue. Get creative and think of fun package names that describe who should be purchasing the packages. 3. Have at least one wall for retail items. Displaying your retail items in an organized and attractive way invites customers to browse while they are waiting to pick up or drop off their pets. Make your retail items visible to customers as they walk through the door. PawLoyalty kennel software allows you to add retail items to customer purchases at the time of check-in, through the Customer Profile, and at the time of check-out. You can keep track of your product inventory within the kennel software as well so as the items start flying off the shelves, you can prepare to restock. Here’s a tip: Place a few smaller items right at the front desk, so at check out, customers will be more likely to make impulse buys. 4. Schedule customer calls to confirm appointment details and upsell an add-on activity. After customers have used the online booking feature, you can set up PawLoyalty kennel software to send out automated email reminders up to 10 days prior to a customer’s appointment. 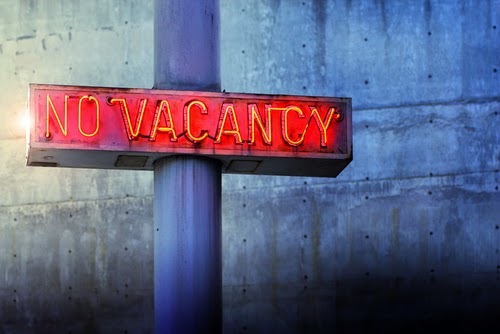 This will prevent no-shows and reduce vacancy rates. Schedule employees to make calls to customers to confirm their appointment details and also to take the opportunity to remind them about small upgrades they can choose that will make their pet’s stay more enjoyable. Train your employees to upsell activities every chance they get--over the phone, at check-in or check-out, and when they refer the business to potential customers. You will get your fair share of “No’s”, but each “Yes” you receive is well worth the extra effort. This also adds a personal touch to your business. Customers will appreciate interaction with a friendly and helpful employee. 5. Partner with another company who compliments your services and has the same profile for ideal customers. Allow your partners to schedule events at your facility where they can promote their own businesses. For example, work with a trainer whom you can recommend to your daycare and boarding customers and vice versa. These strategic alliances are great sources for referrals. Increase your referral network and you’ll increase your list of customers as well. 6. Create an email newsletter. Sending out an email newsletter will keep you in constant contact with your current customers. If they are aware of your promotions and new services, you’re more likely to bring them back through your door. Adding your current customer’s email to their profile is an important on-boarding step that opens the door to more marketing opportunities. Don’t forget to segment your contacts. Promotions are only effective if they go to the right people. You wouldn’t want to send training workshop specials to customers with senior canines, so place careful thought into tailoring your emails to specific audiences to make sure you don’t end up in their spam folder. There are lots of small ways that you can create more opportunities for your current loyal customers to spend more money with you. If the idea of raising your rates doesn’t sit well with you, these alternative options may still help you see an overall increase in your revenue. Make a commitment to try at least one of these ideas and let us know how they work! 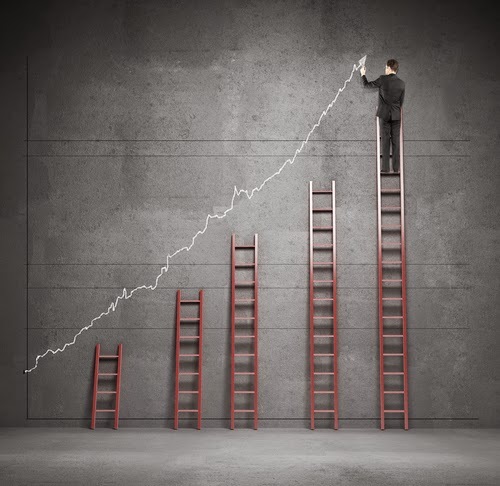 What are ways you have increased your revenue without having to raise your prices? Stephen Covey, the author of the successful book, The Seven Habits of Highly Effective People said, "An empowered organization is one in which individuals have the knowledge, skill, desire, and opportunity to personally succeed in a way that leads to collective organizational success." If an employee feels confident in their role at your business and understands how their actions help your customers, then your employee is more likely to experience a feeling of personal success and want to keep achieving business goals. As a manager, you need to prepare go-to plans for any situation and help each individual employee feel empowered to make decisions that benefit the business. Here are 5 tips to jumpstart your training program! 1. Train your staff to understand whether or not a customer is suited for your business. It’s important to train your staff members to recognize when a customer is not suited for your business (i.e. a customer who wants services that you do not offer or does not respect pick up and drop off times). Make a list of red-flags and train employees to escalate questionable customers to management. Some businesses create systems where clients get points for negative behaviors and after a set number of negative interactions, the owner will have a conversation with the customer and let them know that their dog may do better at another facility. A customer that is not a good fit is different from a difficult customer that may be having a bad day but is a regular customer you would like to retain. For customers or pets that may be difficult at times, you can add private internal notes to PawLoyalty kennel software’s customer profile that will only be shared between you and your staff so that when your employee is booking an appointment in-person or over the phone, they will know how to politely decline a customer’s reservation request if they are not a good fit. If you terminating a relationship with a customer, PawLoyalty kennel software allows you to revoke permissions for those customers to request appointment on-line. 2. Train your staff to upsell services and the approach they should take when doing this. Your staff should have a clear understanding of what services you want them to upsell and when they should be doing so. Whether it’s your newest service, your business’ most popular service, or trending services, keep every employee up to date on your business’ marketing plan. Front desk staff members may get into the habit of upselling the same service because it is a service that they feel comfortable describing to customers, but if you specifically want your staff to upsell a service that you know is currently trendy or that you are focusing on, then let them know what that service is and how they should demonstrate its value. Get into the habit of making announcements during a staff meeting or post an eye-catching note on the break room bulletin board that identifies what services should regularly be on an employee’s radar, and what new services they should be bringing to the attention of customers. Make a list of the services you want to upsell, when your employees should upsell them, and how these services will benefit your customers, so that your employees can provide a clear explanation to whomever asks. Periodically run contests for your employees to have them hit a goal (it can be total service revenue sold or the number of times they sold a specific service in a certain period of time). Vary the contests between having 1 winner and having contests where everyone can win something if they meet the goal. Make the goals achievable with the goal that everyone can get there. Prizes don’t have to be big to be motivating -- even a $5 coffee gift card works. It is enjoyable for employees to have something to focus on and to get a small token of appreciation at the end. 3. Train your staff to keep the front area tidy. Even a friendly face can’t detract the eye from a messy front area. It should be the front desk staff member’s job to keep the waiting room in order and the front desk clutter-free. You want to make an amazing first impression on your new customers and turn them into regular customers. If they love your facility the minute they walk in, this initial impression will stick with them. Give your staff examples of what the front desk should like. Everyone has their own definition of “clean”, but providing a visual for your employee will guide them in seeing how the desk will look from a customer’s point of view, knowing where things belong (so that other staff members can easily find that stapler! ), and set the same standard for each staff person in maintaining a tidy workspace. 4. Train your staff how to solve customer problems professionally and in a way that is in line with company policy. Every staff member should be trained to smile and ask “How can I help you?” so that each customer feels that their presence is acknowledged. This also helps your employees give your customers their full attention, especially when in the middle of trying to multi-task. After your front desk person hears the problem, they can decipher if they can provide a quick answer or if they will need more time/help in providing a solution. Sometimes a customer will already know how to solve their problem, and staff should be trained to know whether or not they have the authority to provide the solution or escalate the situation to get your guidance. They should also have a standard protocol --- Your staff member can follow up with a response such as “I understand your concern. I do not have the authority to authorize that, but I am happy to put you in touch with my manager who will be able to help you.” They should also know how to mitigate other possible issues by being able to prioritize the customer’s need. If there is a line while the customer is complaining, it may be best for your staff person to say “I definitely want to discuss this you. Could you please wait until I finish ringing up these customers so I can give you more time?” Your staff should understand when you will be available to help so they can manage the client’s expectations and also know when they will have to do their best to provide answers without you. Brainstorm a list of common scenarios and write out a few scripted responses to train your employees with best action steps to take. A staff member will know better how to handle impromptu situations if they know what their options and limitations are based on the way your company works. 5. Train your staff to use PawLoyalty kennel software efficiently. Front desk staff members should be trained in using PawLoyalty kennel software efficiently. Knowing how to expertly use your dog daycare software to check dogs in and out, book appointments, and manage the customer’s profile will make the check in/check out process smooth for your customers and make them feel like you have a well-run business. PawLoyalty kennel software offers video tutorials within the software that you can use to provide on-going training to your staff. Staff members should also know how to contact customer support if they need additional training and support. What are your best tips for ensuring that your front desk desk staff are well-trained to represent your business? So, what’s the “cache”, you might ask? A cache is a storage space for information and visuals that your browser automatically downloads when you’re surfing the internet. Each web browser you use (Google Chrome, Safari, Firefox) has it’s own cache. For example, when you visit the PawLoyalty web page, your cache for Firefox will automatically download PawLoyalty’s logo and store it. Firefox will save the PawLoyalty kennel software logo so that if you visit the PawLoyalty main landing page again (or any other PawLoyalty page with the same logo), your web browser will have that logo stored to save you the time of re-downloading the image each time you visit. In the short term, the cache is meant to remember your internet activity and save you downloading time. In the long term, this takes up a lot of storage space on your web browser. The cache is usually one of the first places an IT guy will ask you to check when your internet begins to run slowly over time. We want to make sure you have the best PawLoyalty kennel software experience as possible, which is why we recommend clearing your cache whenever you are experiencing slowness. “Clearing your cache” will delete downloaded items that were stored in your cache and enable your internet to run faster without all the extra baggage. We recommend Firefox when using PawLoyalty kennel management software. “How To Clear Your Cache” from the Firefox Support Page. Beside Clear history when Firefox closes, click the Settings... button. The Settings for Clearing History window will open. In the Settings for Clearing History window, click the checkmark box next to Cache if it is not already selected. We also recommend Google Chrome as a secondary web browser for PawLoyalty. In the dialog that appears, select the checkboxes for the types of information that you want to remove. It is best to select cached images and files. Use the drop-down menu at the top to select the time frame of data that you want to delete. Select beginning of time to delete everything. 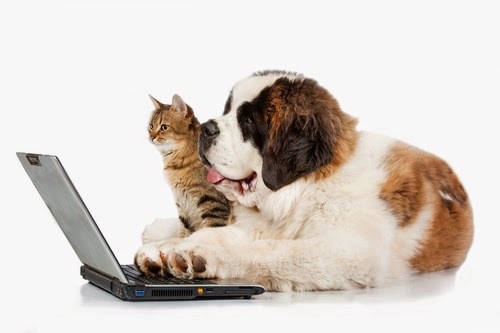 We hope that after this article, you have a heightened PawLoyalty kennel software experience! What other IT Troubleshooting tips do you use? Toys: Playtime Fun or Just a Hassle? Dog-safe toys are fun to have at facilities because they keep the dogs occupied and give them activities so that they can interact. But some business owners will argue that toys are either too much of a risk and just an extra chore. Here are a few reasons why I might be better to keep the toys at home. 1. Toys can be cause for aggression. Like children on a playground, some dogs just don’t like to share. They can become very territorial with toys and show hostile behavior when another dog tries to play with their claimed toys. 2. Toys can be choking hazards. Even the most-dog safe toys can have squeakers and stuffing that could pose a safety hazard especially for the little or older dogs. 3. Toys take dogs away from the group. If a customer wants a dog to stay in daycare specifically to socialize, toys won’t help. They will be distracted and you’ll have to track in your PawLoyalty kennel software that they did not interact with any of the other dogs. Nobody likes to report to pet parents that they’re dog didn’t have a well-rounded experience. 4. Toys require a good cleaning. For safety reasons, toys should be disinfected before multiple dogs play with them. So now, not only do you have to wash bedding and clean the floors, but you have to set aside time to disinfect toys with proper cleaning products on a regular basis. 5. Damages toys have to be replaced. Toys cost money, but quality toys cost even more money. These fees can add up especially if the bigger dogs can chomp on them easily. Have toys handy if a customer requests extra individual playtime or if the dog needs the toy during boarding. If you have customers who regularly request this, record it in your kennel software so that you can be proactive and anticipate their needs and requests. In general however, you can run successful playgroups without them! Host group activities so that dogs can really play with each other instead of having alone time. Playground equipment and treats are great alternatives for toys. Try hosting a Yappy Hour with Frozen kongs! Dogs can save their toys for at-home play instead. What do you think? Have you used toys at your facility? What are some of the pros/cons you’ve experienced? Looking For Ways to Increase Revenue? Try “Yappy Hours”! One way to increase your business’ revenue is to look for ways to increase the spend of your current customers. A common way of doing this is to host a “Yappy Hour”! The perfect recipe for a doggie happy hour does not mean stirring up canine cocktails in between playtime and bedtime. A “Yappy Hour” is an extra service that your customers pay for where their dog will be taken to a separate area with other dogs who are participating for a group play and a special treat. The most common treat is a kong. The classic Kong is a three layered, beehive-shaped rubber toy for dogs. It is a cognitive toy, non-toxic and helps with a dog’s natural instinct to chew on objects. Because kongs are made for chewing, they do not harm a dog’s teeth or gums. Just keep in mind that there are special kongs made for puppies to seniors! Filling: You can fill a kong several ways using the banana and dog food. 1. Freeze a half banana beforehand so that it doesn’t get mushed as you insert it into the kong. Take the kong and squeeze it in order to change the shape and fit the banana all the way inside. Fill in the rest of the space with wet canned food and sprinkle a few kibble pieces for some crunch. 2. Put two whole dog biscuits inside the kong. Mash a banana and scoop it into the kong to fill up the rest of the space. 3. Crush some dog biscuits and mix with cream cheese and kibble to make a savory textured treat! Sealant: A Yappy Hour should be fun, but still present a challenge for the dogs, so you don’t want the food to fall out in mere seconds. After filling the kong, use the peanut butter or cream cheese to seal the contents inside. This will force the dog to lick the entire outer layer before discovering the different textures and flavors inside. Tip: Freeze the kongs in order to keep them ready for dozens of customers during the day. Always have a few in stock to make them accessible to customers who want to add a last-minute Activity or Extra to their dog’s stay. Freezing also makes the kong more of a challenge for larger dogs that tend to finish their kongs quickly. 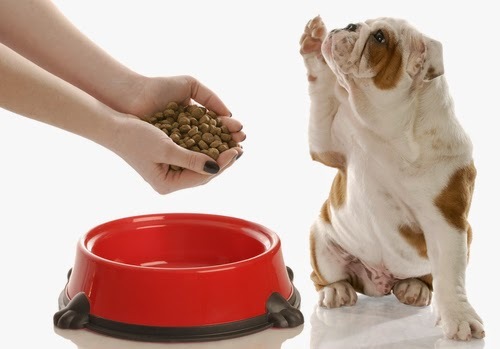 Use your PawLoyalty kennel management software to track dogs with allergies and special diets. Kongs are accommodating and allow for creativity! Use a kong as an opportunity to add a dog’s medication to their food or substitute your facility food with a customer’s prescribed kibble. Have your customers fill out their Pet Health Record with their vet’s list of approved food. Take a look at the Kong website for more yummy recipes so that your regular customers will never get bored! Instead of simply handing the kong over, remember that dogs like a challenge! Make the Yappy Hour into a game by playing fetch. Throw the kong to the dog like you would a tennis ball or stick. Wait to see if the dog wants bring it back or if they are content with sitting and enjoying their snack. Instead of fetch, let the dog sniff the kong and then hide it. This can be a group activity as well. Hide a few Kongs in the playroom and let the dogs loose until they all find their prize! Remember to take special notes on the exact kong ingredients in your pet resort software so you can share that information with your customer. Also add this Yappy Hour to your kennel software’s printable feeding report so that pet owners will be aware of what and how much their dog eats at your facility. These notes will serve as a reminder for the next time that same customer orders a Yappy Hour and you can prepare their kong ahead of time! Many regular customers get in check-in and check-out mode and may not realize that this service is even available. Make a sign at the front desk that highlights what is a part of your Yappy Hour and tell customers to let you know if they would like to participate. And make sure to verbally offer this add-on to new customers. You can also use Yappy Hours as a free add-on to show customers you appreciate their loyalty, celebrate a doggie birthday, or as part of a marketing promotion. Do you offer a “Yappy Hour” add-on? What other services have you been able to upsell your customers? Is Your Pet Business Prepared for a Natural Disaster? 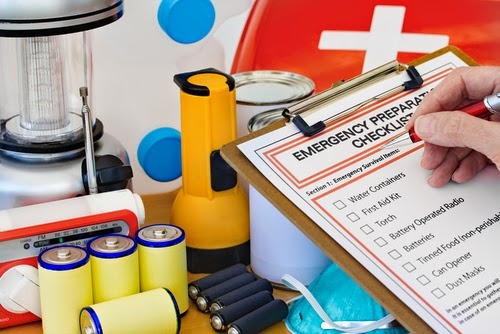 Preparing for a natural disaster probably was not at the top of your to-do list today but it is something that you should urgently consider if you do not already have a disaster plan in place. Here in the Bay Area, scientists predict a 99% chance of having a major earthquake in the next 30 years, as soon as tomorrow! Every geographic area has it’s own risks and threats. The American Humane Association reported that during Hurricane Sandy, 30 million pets were killed or greatly impacted by the natural disaster. The ASPCA and Humane Society do an amazing part to rescue pets from all forms of emergency. But you as a pet care provider have your role to play as well. Pet parents entrust their furry loved ones to you because they know that you care about their pets’ well beings. A part of being entrusted with pet care is taking precautions for events that you can’t control. This article will tell you what you can control. When you are prepared you will feel more equipped to focus on leading and executing your action plans, as well as making good judgments along the way to get both employees and animals to safety. Customers can digitally sign a waiver that entrusts their dog to your care in the event of a natural disaster, which you can store in their Pet Health Record on your kennel management software. Since the software is cloud-based, you will not have to worry about saving hard copies or importing the waivers onto a USB. Everything will be readily available for you to return the pets back to their owners. Know where your nearest shelters are. List them by location and ease of transportation. Also check to see how many other pet businesses, especially boarding and daycare facilities, are in the area. Use your best judgment in prioritizing shelters that other pet businesses are likely to occupy first. Prepare several routes to get to the shelters in case roads are blocked by fallen trees. Studies have shown that animals can detect infrasonic sound pulses that are precursors to storms and earthquakes, which can cause them to panic. This could make it difficult to transport dogs, especially those in the large, active playgroups. Take a proactive step alongside your staff to learn how to anticipate pets’ strange behaviours and handle these stressful situations. Arrange a training session for employees that are not trained in first aid and CPR if you haven’t already. You should have several kits in mind. There is of course the First Aid Kit and the (dry) Pet Food & Water Kit. But also consider other pet essentials, especially when you will be transporting and caring for dozens of dogs at a time. You will need harnesses to separate aggressive pets, garbage bags for pet waste, and dog bowls for water. Your emergency response animal shelter should have all of these items, but it is always best to have your own at hand! Shelters can easily get crowded and resources can be exhausted. Plan to be harbored in these shelters for 5 days. When the natural disaster is over, you will still have all your Pet Health Records stored on easily accessible dog trainer software. Encourage your customers to upload photos of their dogs, to note distinguishable markings on their pet profiles, and to fill out their Emergency Contacts. PawLoyalty will store and backup your data frequently, and be a reliable, disaster-tolerant source for information should you need it. Take into consideration the average amount of dogs you have daily and make several plans of action to accommodate different circumstances. Drill these plans into your employees to make sure they are in control during the actual event and comfortable in their supporting roles. Assign your employees roles and duties so that each action step is covered. Turn off your utilities before evacuating the facility. This may not be top priority at the time, but it is important to know in order to sustain your business and take precaution. Grab your disaster preparedness kits and prepare them in your transportation first. Check every single room for stragglers, as well as underneath tables and in nooks and crannies. Dogs are known to try to go into flight mode and hide in cramped areas. What else do you have on your Action Plan? What has your pet facility done to take precautions during a natural disaster?